Many people look forward to summer as it brings sunnier days, the sweet smell of freshly cut grass, and outdoor trips with the family. However, summer temperatures can also bring a sharp increase in energy bills as people turn up their air conditioning to counter the heat and humidity of the season. Luckily, there are ways to help keep your home cool without running up a pricey energy bill. We have outlined a few of these to help you have a summer full of enjoyment, and not so full of expenses. 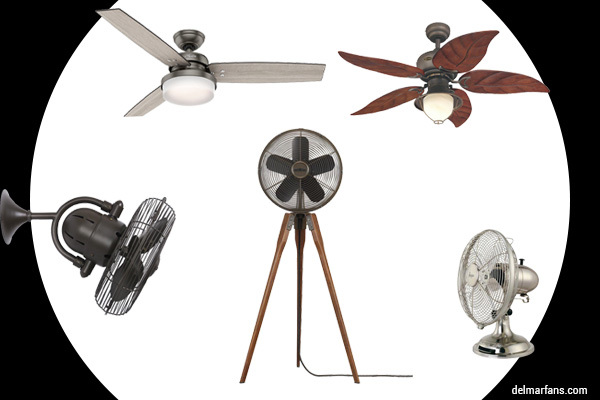 There are many types of fans that can help keep your home cool. 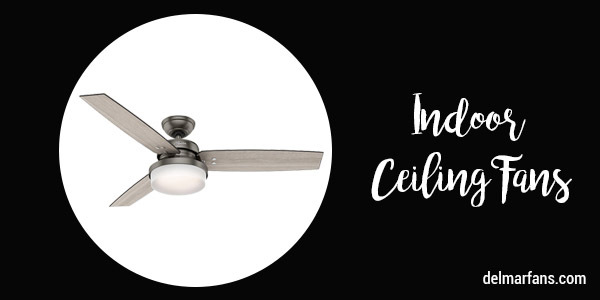 You are not limited to only harnessing the benefits of one ceiling fan. Using the various fan types, we are introducing, you can help to make sure that your energy bill goes down, while your comfort and style go up. A stand-alone fan is a great portable option for cooling down the room you’re in. 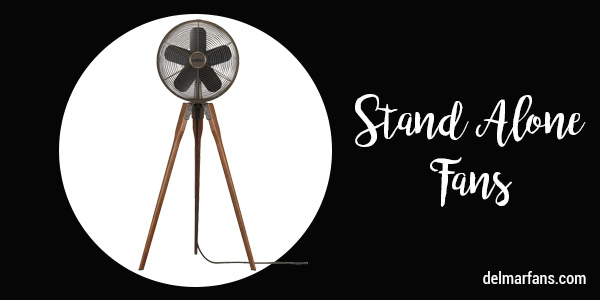 A retro standing fan can fit into a variety of spaces and can come in a variety of finishes. The Fanimation Arden, with an Oil Rubbed Bronze cage and Walnut legs, is a wonderful option when considering a stand-alone fan. The Fanimation Arden is both transitional and classical, and it combines performance with aesthetics beautifully. Not only does the Arden include a three-speed rotary switch, but at 44” tall, it is the perfect height to stand in your living room or bedroom. Additionally, there are many benefits of adding the white noise of fans to your bedroom, as they can encourage relaxation and promote a more restful sleep. 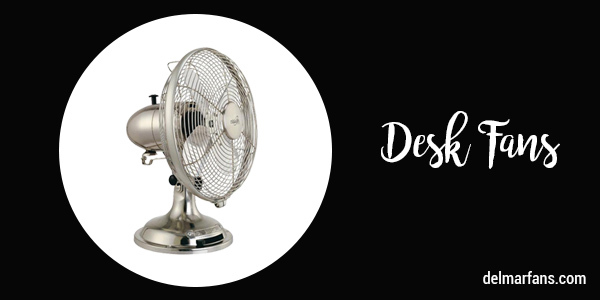 Metal desk fans, also known as retro table fans, are another wonderful option for a cooling system that can move around the home with you. This allows you to face the fan directly toward you. Desk fans are not only affordable, but they are also compact, and can be placed in almost any room. The Minka-Aire Retro is available in both brushed nickel and oil-rubbed bronze. The Retro has three speeds, a manual tilt, and it oscillates 70 degrees from side to side. Keep everyone in the room cool this summer with this sleek option. Wall mount fans, or oscillating mounted fans, allow a nice cool breeze to blow from a stationary point in the room. They are the perfect solution for smaller rooms, as they don’t take up any floor or table space. Along with being space savers, wall-mount fans provide circulation and can blow away any airborne germs in the room. The Kaye by Matthews comes in three finishes and is ETL listed for damp locations-- making it a great choice for covered patio areas. 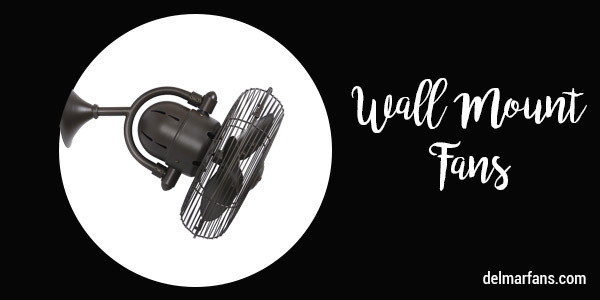 The Matthews Kaye is one of our top-selling wall mount fans and is an excellent option! 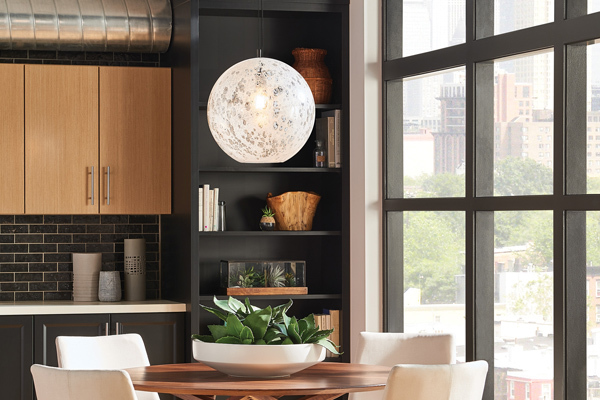 Ceiling Fans are an obvious, and highly helpful, option for cooling down your home. 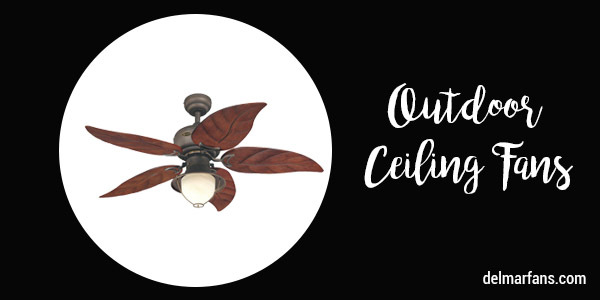 Not only do ceiling fans create year-round comfort, but they can also create a drastic decrease in energy use, therefore increasing your savings. The Hunter Sentinel is another quality cooling fixture which comes in three different finishes and is a top seller. The Sentinel also features dimmable LED lighting, an integrated light, and three-speed fan remote. Outdoor ceiling fans bring comfort to the outdoors so that you can enjoy even more grilling and pools. Outdoor ceiling fans need to be UL listed for wet or damp locations to prevent electrical fires, rusting, and motor damage. Additionally, many ceiling fans for outdoor installation include features like integrated lighting, handheld remote controls, or wall controls. They come in many styles, from rustic to tropical, and are a great addition to any porch or patio area. You can read more about choosing the right fan for your outdoor area here. 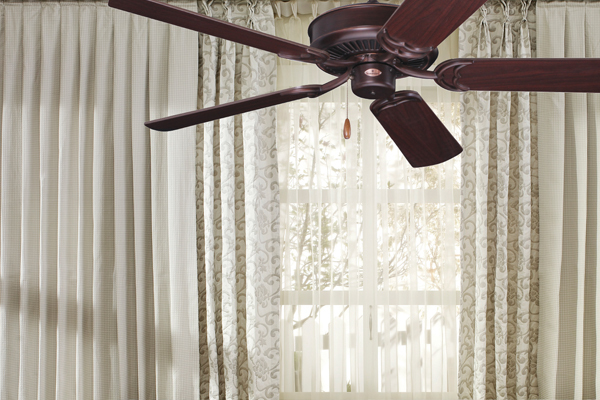 The Westinghouse Oasis definitely boasts a tropical style with five mahogany ABS Resin leaf blades. This fan can be standard or angle mounted and is UL wet listed. Lighting, especially incandescent lighting, can produce a significant amount of heat. Incandescent bulbs actually waste about 90% of their energy as heat. Shutting the lights off when they are not needed will help keep the house cooler and will increase energy savings. If you are still using incandescent lighting throughout much of your home, now is the perfect time to switch to LED lighting to increase your bulbs lifespan and decrease your energy bill. Any devices that are not regularly used can also be unplugged, as electronics tend to hold heat. While this may only make a slight difference in temperature, it will also help to decrease the amount of energy being used. People often think of insulation when it comes to keeping homes warm, but it is also important for keeping your home cool. Attic insulation, in particular, will keep cold air from escaping through the ceiling, leading to cooler temperatures. It is also important to make sure that air ducts are sealed if using a central air conditioning system, as a proper seal will prevent cold air from escaping the house. Making sure your ducts are sealed, and that your home is insulted, will also lead to savings during the cooler months of the year when you are running your heater. While it may seem odd, keeping windows closed on particularly hot days will actually keep your home cooler instead of making it warmer. When temperatures begin to decrease in the evening, windows can be opened to let in the cool breeze from outside. Keeping the windows open at night allows the cooler air to circulate through the house. When the windows are closed during the day, the cooler air stays trapped in the house. Make sure to close the blinds and curtains, as well, to keep the heat from the sun out. An extra step that can be taken, is to place houseplants in front of windows that let in a lot of sunshine. The plants will actually absorb some of the sun's energy. This can also help to add a pop of color to the area! What is the Proper Ceiling Fan Direction? Which fan type do you use most to keep cool?